Celebrations at Velocity don’t come to an end it seems. The company always makes sure that the ratio of work and fun is balanced. After the Jungle safari trip in January, February called for the festival of colors – Holi. Falling on the 2nd of March, the management made sure that all the Velocitians participated in full form before going to their hometowns. Hence, the celebration at work took place on the 28th of February. 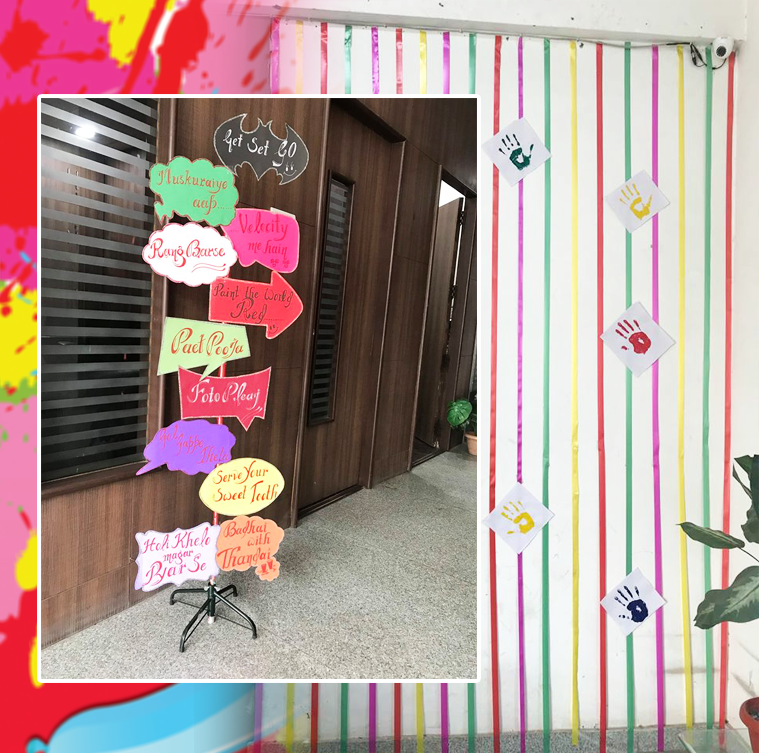 A day full of fun, frolic, and colors (of course), the family celebrated with full enthusiasm as well as participation. 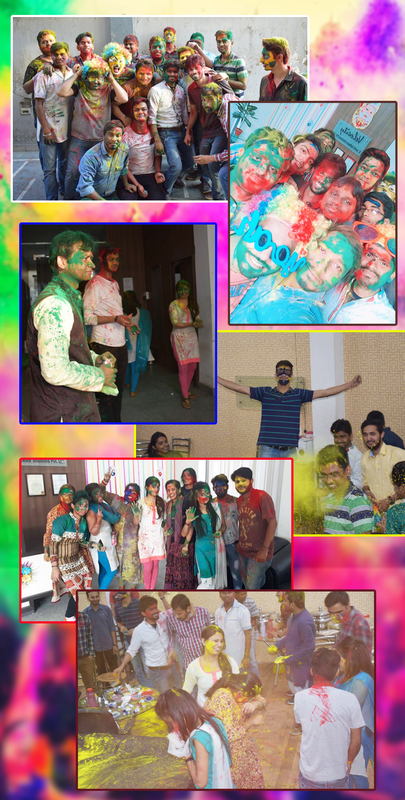 Taking you on a detour of what all happened on the Holi celebration day, sit down, relax and let’s paint the world red. Starting off the day with the ethnic wear (a customary of the traditional festivals), everybody chose to dress not in their best because of the obvious reasons that the color would spoil their clothes. However, they still managed to look absolutely occasion-dressed. And as we all know, the day had to start with the selfies and the groupfies done in the reception area. The funky and gigantic sunglasses were distributed by the HR to the employees. That’s not it because colorful wigs were also some complimentary wearables that were distributed to set the mood. The celebration started post lunch which was a buffet served by Velocity. 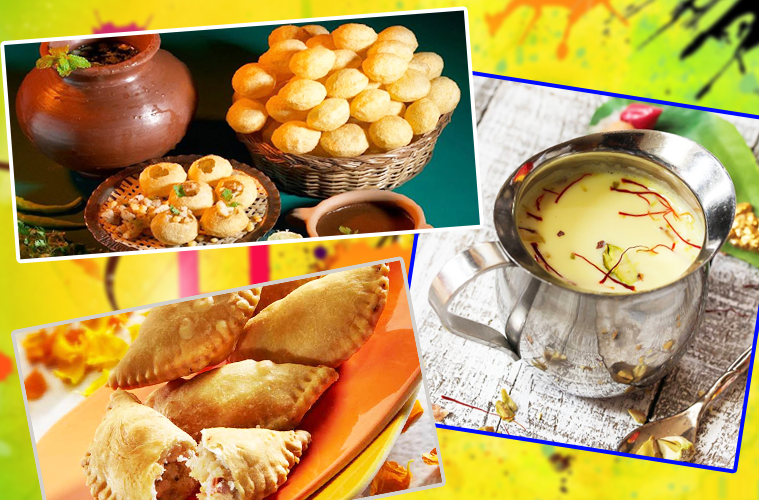 Yummilicious food included delicacies like fried rice, Aloo Puri, Dahi Bhalla, mix veg paneer and the most-important Gujjiyas and Thandai. In the side menu, there were the all-time-favorite Pani Puris. Probably everyone ate more than their appetite. Then came the time when the four teams were divided into four groups. About 6 activities lined up, the teams were all geared up to be the winning team of the day. The first game was the desi version of basketball which we can call as cups & balls. The game took two participants from the team where one had to throw and the other one had to catch the ball in the cup. Sounding easy, the game needed a lot of coordination. Talking about coordination, nobody knew what the second game had for them. The Office tennis was played by flipping paper ball with the folders among two participants. The ball shouldn’t fall and in the midway and should be taken all the way to the dustbin. The next in queue was the Magic Carpet where the team member was supposed to sit and fit on a piece of cloth and swipe himself/herself all the way to the next end and come back the same way. The twist was – none of your body parts or wardrobe should touch the ground. Very interesting by looks, the participant had to put in a lot of strength and manage time to take the entire trip. You might consider the next activity gross, but this was surely a task and it was called as Gum Trick. The member had to dip his/her nose in gum, pick the cotton ball with the same and drop it in another plate kept at a distance. All this had to be done without using your hands. 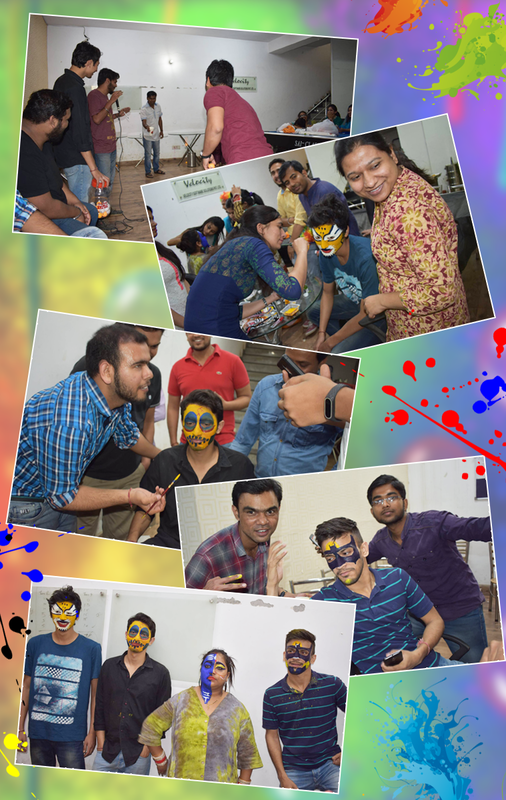 Last, but not the least was the best activity – Face painting started. With the time bar set for half an hour, the artists got down to and gave their best shot. The four contestants were painted as Ardhnaari, Batman, Tiger, and Joker or something (the team is still trying to figure out what actually they made). Coming to an end, the Gulaal covered the air and people started to run around looking for others to paint their faces with colorful Abeer. There was color everywhere. With the not-to-be-recognized faces, the photos kept on happening and the day was called off earlier that day. Isn’t that the best part? Surely it was.